A report released by iab in late April 2017 revealed what most marketers already know: there has been an increase in mobile search advertising spending. This makes sense given the growing number of consumers who were conducting searches via their mobile devices. What has shocked marketers is just how much of an increase there has been. According to the report, mobile advertising spend accounts for more than half of all American Internet advertising revenue. 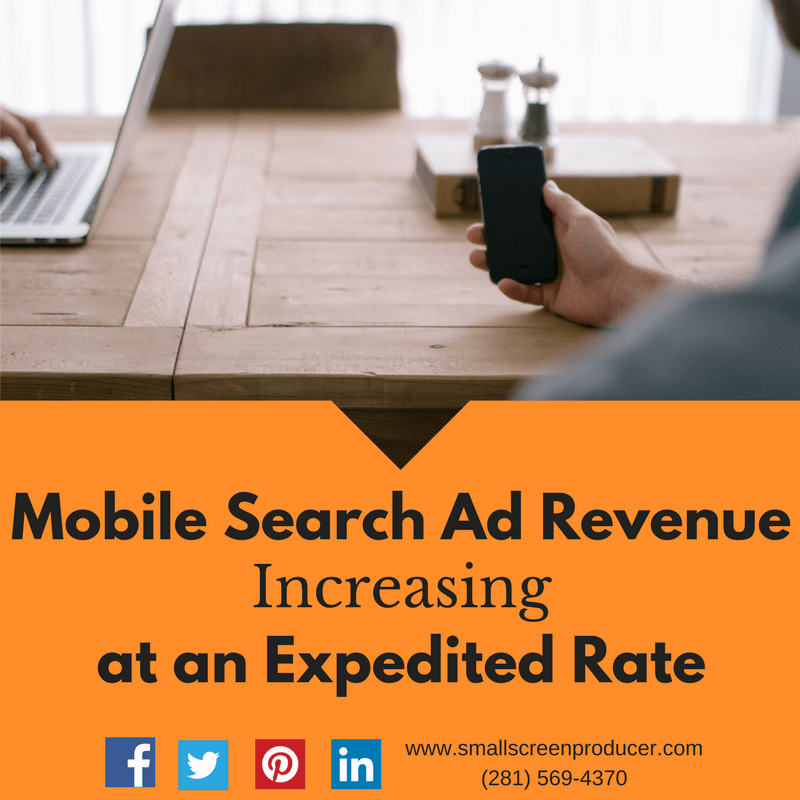 There is no question that mobile search advertising has fueled the internet economy last year with revenues increasing by 77 percent from 2015 to 2016 ($20.7 billion to $36.6 billion). What was also interesting was how video revenue skyrocketed last year, especially on mobile devices. Overall search revenues reached almost $35 billion in 2016, a 19 percent increase from $29.5 billion in 2015. One reason why videos are so effective on mobile devices like smartphones and tablets is because videos are ranked highly in Google’s SERPs. Consumers may find reading a wall of text on their mobile device difficult due to the smaller text size, or they may be on the go and want to receive information in a fast and succinct fashion. Videos are not overwhelming like text can be, and they are easy to share on every social platform which again increases the likelihood of it being seen by other consumers online. With the increasing prevalence of free Wi-Fi and the ever decreasing cost of data, more people than ever are watching videos from their mobile devices. Having a cohesive digital media marketing plan in place will increase your exposure, boost engagement and deliver a greater ROI. Small Screen Producer helps clients achieve positive results by combining multiple online marketing strategies that will broaden your reach and increase your conversions. Start building a more effective online strategy by speaking to one of our digital media marketing pros at Small Screen Producer today at (281) 569-4370.